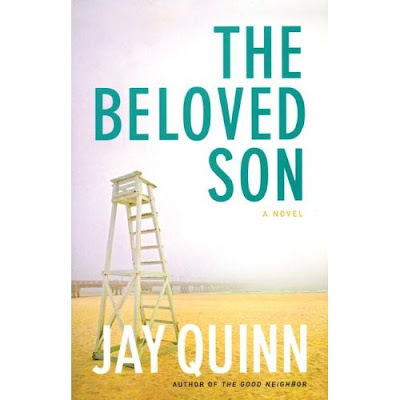 This novel, the latest by fairly well established gay writer Jay Quinn, is an engaging family story of unspoken truths and vocalized fears. Its protagonist, Karl, a methodical, self-controlled straight engineer seems to embody the typical North Carolina suburban, middle-aged heterosexual man who leads an uncomplicated life cocooned in a world of ironed-out wills, downsized homes, reliable vehicles, and cultivated pleasantries. Married to an empathetic woman, and the father of a bohemian-like, outspoken daughter, Karl's secured world is turned upside down when he, and his family, are summoned posthaste to his parents' abode in Boca Raton, Florida. Soon Karl and his family finds out that his parents have decided to move into a retirement home, one shaped by an unexpected family crisis. This crisis forces Karl to confront a series of entangling relationships he must now unravel, comprehend, and even embrace. First, there is his gay brother, Sven, who is partially estranged from his partner of twenty-some years, Rob. Sven is hardly the stereotypical gay man. Confident, self-assured, and all-man, Sven, however, has his share of demons, and he too must sort them out or else his life with Rob will permanently end. He must also reconcile with Sven, who has always accepted Rob as a gay man but only from a distance. Now that Karl is in Rob's turf, the former must find a way to leave behind his prejudices, many of which are subtle yet corrosive. Then, there is Frank, Karl's occasionally homophobic, temperamental father, who struggles to accept his gay son and his partner. Frank has to wrestle with his own share of insecurities, stemming ironically from his love for his sons and his inability to navigate this seemingly senseless world as that family crisis spins out of control. And thirdly, there is Karl's mother, Annike, who has this close bond with her gay son, in a way that Karl is befuddled by and yet admires. It is a bond that is replicated in Karl's relationship with his father. How each character attempts to resolves their complicated ties without erasing the past makes up part of the enjoyment of reading this novel, whose prose is fairly rich, languid, if at times, a little sentimental and maudlin.